This site exists to help you obtain an apostille stamp for UK documents as quickly and as easily as possible. An apostille certificate is a seal that is embossed into your document or certificate like a stamp or seal. The apostille is the international verification that a document has been certified in the country of origin between signors and participants in the Hague Convention. The completed apostille form certifies the authenticity of the document's signature, the capacity in which the person signing the document has acted, and identifies the seal/stamp which the document bears. Note: The "apostille" attests to the validity of the signature of the notary public, county official, but not of the underlying signature nor of the contents of the document. The Hague Convention applies "to public documents which have been executed in the territory of one Contracting State and which have to be produced in the territory of another Contracting State." The Convention does not apply to domestic filing of documents. 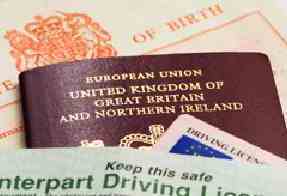 "Apostilles" will not be issued for documents intended for use within the United Kingdom. Countries that are not members of the Hague Convention require full legislation of documents which involves one extra step: after an apostille has been issued all documents have to be sent to the consul of the relevant foreign embassy. The consul then adds their own certificate. If you have a document which you want legalised for use in another Convention country, the Convention certification called an apostille must be affixed to the document by a competent authority. The apostille is a pre-printed form prescribed by the Convention. 1. Notarisation - this is the attestation by a Notary Public that the signature appearing on the document is true and genuine. In the legalisation process, this is usually completed in the country where the document originates. This may also be in the form of a certification which is made by a solicitor as to the signatures made on a document. 2. Apostille - a Government Official in the country of origin has to declare the signature of the Notary Public or the Solicitor as true and genuine. 3. Authentication - declare the Apostille as true and genuine prior to Legalisation. 4. Legalisation - the Embassy of the country where the document is to be presented can now declare and accept the signature, seal or stamp appearing on the document as genuine.